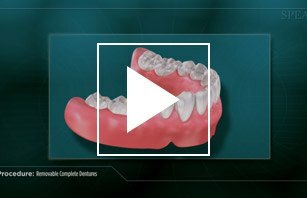 Dentures, made by a Westchester prosthodontist, are a great solution to missing teeth. Come to our Scarsdale or Chappaqua location for custom dentures. Dentures are replacements for missing teeth that you can remove. While dentures take some getting used to, our dentures are natural looking and more comfortable than ever before. 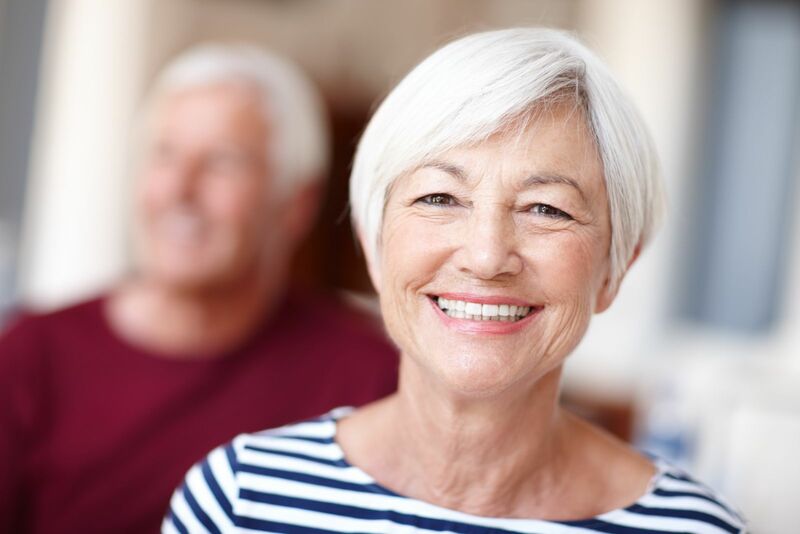 It is a big process, and we want you to feel that you can come to us with any questions or concerns you might have about getting dentures in our Scarsdale and Chappaqua locations. When your teeth are badly decayed and not fixable, you may be a candidate for dentures. If you have lost your teeth, unable to speak or chew easily then dentures may be a good option for you. You can get dentures from your Westchester cosmetic dentist that are comfortable, functional, and can blend in with your natural teeth. We offer two types of dentures available: full and partial. We can help you choose the type of denture that bests fits your needs. Our recommendations are based on whether some or all your teeth are going to be replaced and your budget. The first step in obtaining your first set of dentures is having your teeth extracted. Just which teeth are to be extracted, and how many, will depend on whether you are getting partial dentures or full dentures. Your Westchester cosmetic dentist can help you make that decision. Full dentures are placed in your mouth after we have removed remaining teeth and you've healed. Healing may take several months. We also offer Immediate full dentures. These are inserted immediately after we remove the teeth. But, they must be adjusted several months after being inserted. The reason is that the bone supporting the teeth will reshape as it heals, causing the denture to become loose. Partial dentures rest on a metal framework that attaches to your natural teeth. Sometimes we place crowns on some of your natural teeth that serve as anchors for the denture. Partial dentures are a removable alternative to bridges. After your gums have healed after the extraction (this can take four to six weeks), your dentist will take an impression of your mouth as a guide for making the new dentures. The dentist will help you decide which tooth shapes and which shades of white you want for your new dentures. The purpose is to make the new dentures look as real and natural as possible. After we make the dentures, we will schedule an appointment for the initial fitting. Your Westchester cosmetic dentist will place the dentures in your mouth and make the necessary adjustments to insure a good, comfortable fit. After the initial fitting, you may need more appointments for adjustments to make sure they fit comfortably. Getting dentures is a very involved and personal process. In order for you to get dentures that feel and look great, it's important to find a prosthodontist that can work with your specific needs. Our resident prosthodontist, Dr. Brisman, has several years of experience creating and placing dentures, so you can be sure you are getting quality care. 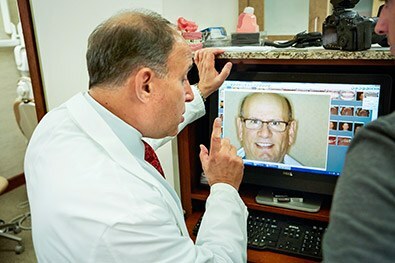 On top of a highly skilled prosthodontist, Advanced Dentistry of Scarsdale also has an in-house laboratory that will create your custom dentures to your unique needs. Having an on-site laboratory shortens the creation time and cost, so you can get your permanent dentures quickly. Ready to learn more? Contact us today at our Scarsdale or Chappaqua location. Choose foods that are easier to chew and swallow, like eggs, fish, cheese, chopped meat, cooked vegetables and ice cream, and leave those beef jerky strips alone. Take small bites, chew slowly and try not to bite down hard with your front teeth. Try to balance food evenly in your mouth when you chew, so your dentures remain securely in place. Hot foods will take some getting used to, as you mouth will not be able to sense heat as it did before. Avoid chewy or hard foods, like caramel and chewing gum. Practice speaking aloud while wearing your new dentures. Read aloud from a book or magazine in front of a mirror. Try biting down and swallowing before you begin to speak. This helps set your dentures in place. With a skilled prosthodontist and an in-house laboratory, we provide dentures that fit and function beautifully. Remove and rinse dentures after eating. Run water over your dentures to remove food particles. You may want to place a towel on the counter or in the sink or put water in the sink so the dentures won’t break if you drop them. Handle dentures carefully. Be sure you don’t bend or damage the plastic or the clasps when cleaning. Clean your mouth after removing your dentures. Use a soft-bristled toothbrush on natural teeth and on your tongue, cheeks and the roof of your mouth. Brush your dentures at least daily. Remove and gently clean your dentures daily. Soak and brush them with a soft brush and non abrasive denture cleanser to remove food, plaque and other deposits. Rinse dentures thoroughly before putting them back in your mouth. Schedule regular dental checkups. We will recommend how often to visit us to have your dentures examined and professionally cleaned. We can help ensure a proper fit to prevent slippage and discomfort, and also check the inside of your mouth to make sure it’s healthy. Avoid such things as: abrasive cleaning materials, stiff-bristled brushes, strong cleansers, harsh toothpaste, whitening toothpaste, bleach-containing products, and hot or boiling water. At Advanced Dentistry of Scarsdale, we pride ourselves in putting our patients first and finding the individualized plan that suit them. We will work with you before you make this important and life changing decision to get dentures. We will walk you through the process and the benefits or risks it has for you. Schedule an appointment with us today to see how our dentures can change your life.